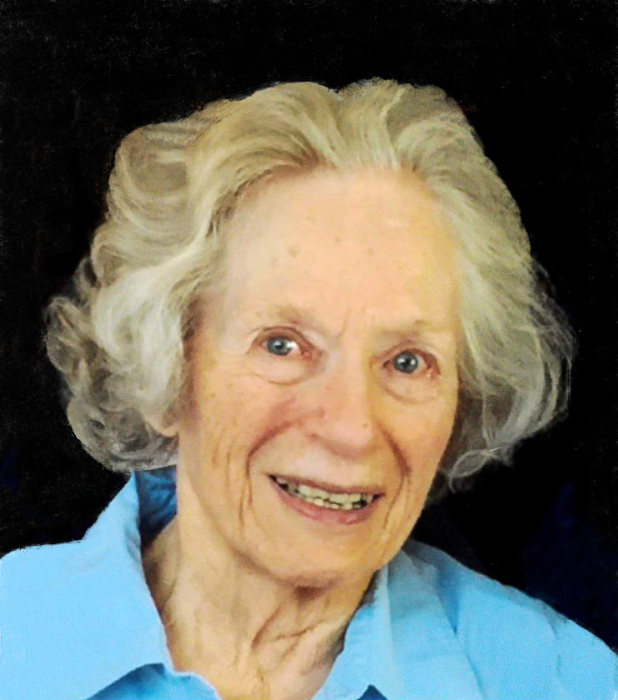 Jeane Larsen Thomas, 89, of Pleasant Grove, slipped into eternity April 7, 2019. Jeane was born June 4,1929 in Lomita, California to Grace Darling Beck and Quis Stewart Larsen. She was the oldest of six children: Shirley, Don, Stewart, Ralph and Lynn. She graduated from Salt Lake City’s East High School, where she was on the tennis team. She then attended Brigham Young University and studied piano. 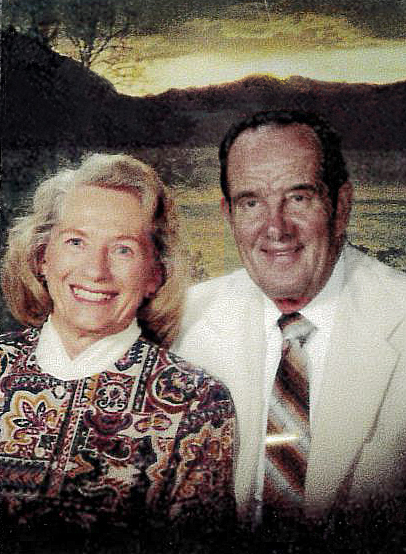 There she met Joseph Manuel Aguirre, who she married in the Salt Lake Temple on August 22, 1947. They had three children: Robin, Jolene and David. They divorced in 1956. Jeane held many jobs in her life. Among them were at Taylor Brothers Department Store, as an elevator operator at First Security Bank, the payroll secretary for Geneva Steel, and executive secretary to the Vice President of First Security Bank. Jeane met the “love of her life” George Albert Thomas and they were married September 2,1960 in Las Vegas. 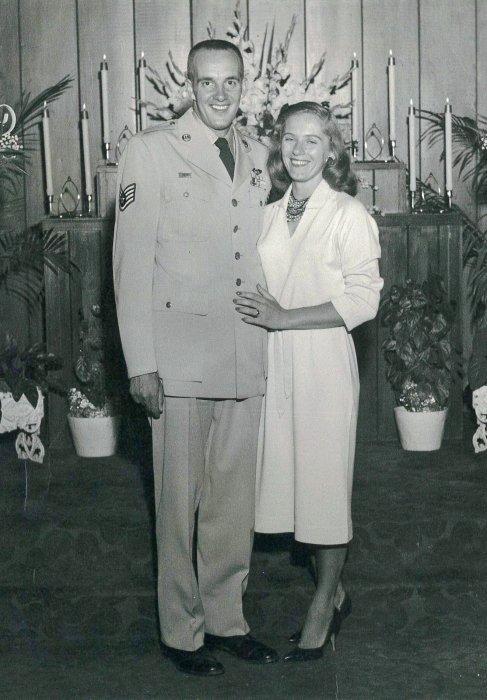 He was an Air Force Flight Engineer, a career that spanned a life time. After working outside the home for many years Jeane was thrilled she could now be a full time mom. They lived in many places including California, Hawaii, and Washington. They had three children: Richard, Don and Carol. Jeane and George were sealed in the Mt. Timpanogos Temple in 2005. All of her direct ancestors were among the early Mormon pioneers in Utah. 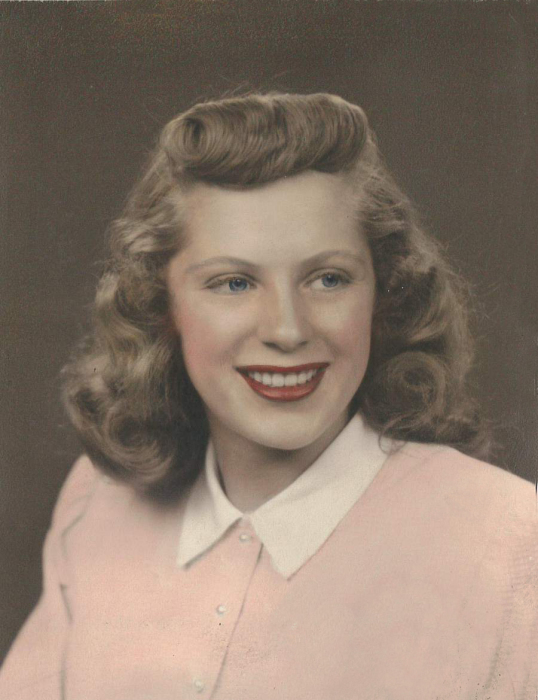 The hallmark of her life was her lifelong faith and service in the Church of Jesus Christ of Latter-day Saints. In Hawaii she was asked to be Ward Organist. She had never played the organ before. But true to her faith and diligence she worked hard to master that skill. She served as Cub leader for many years and twice served as Relief Society President, first in Vacaville, California and later in Pleasant Grove, and played the organ for 40 years in her ward Sacrament Meeting and also in the Mt. Timpanogos Temple. 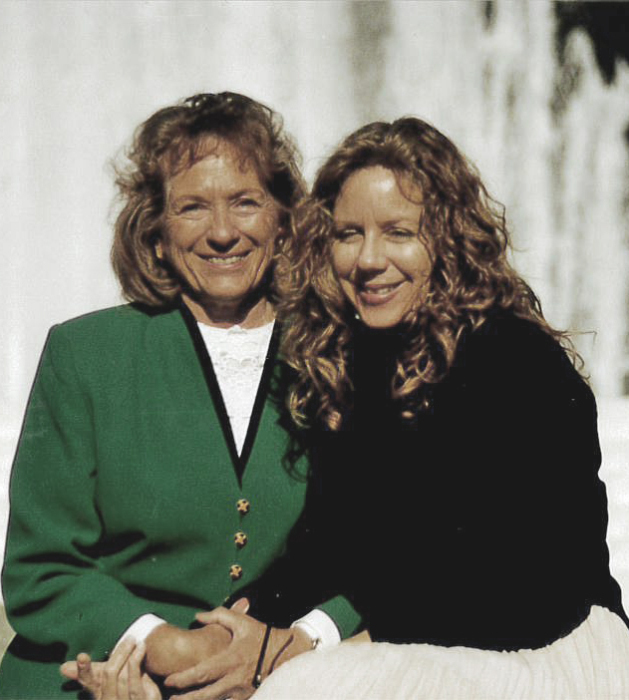 Jeane’s greatest joys were her family. She is survived by her husband George Albert Thomas, Lindon; Robin Aguirre (Linnea), Salt Lake; Jolene Feller (Paul), Orem; David Aguirre (Mary), Midvale; Richard (Lonni), Jacksonville, Florida ; Carol (Richard) Hemet, California. She had 6 children, 28 Grand-children, 57 great grand-children and 1 great great grandchild. She was preceded in death by her son Don, grandson Dallas Aguirre and granddaughter Mercedes, her brother Don and her adored sister Shirley. Funeral services will be held Monday, April15, 2019 at 11:00 a.m. in the Pleasant Grove East Stake Center, 825 South Loader Drive, Pleasant Grove where family and friends may attend a viewing from 9:00 – 10:45 a.m. prior to services. Interment will be in the Pleasant Grove City Cemetery under the direction of Olpin Family Mortuary, Pleasant Grove. Condolences may be sent to the family and full obituary information is available at www.olpinmortuary.com.